received his medical training and completed his residency at The University of Texas Southwestern Medical School in Dallas. He began private practice in 1999 at the Medical City Hospital campus, and has stayed ever since. 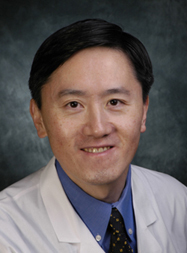 Dr. Lau has served as Section Chief of Internal Medicine, director of the Hospitalist Program and Chairman of Utilization Review and Health Information Management at Medical City in the past. When away from the practice, Dr. Lau enjoys spending time with his family, reading fiction and non-fiction books, going to the cinema, playing golf, running, fishing and traveling. Dr. Lau is fluent in English and Chinese.